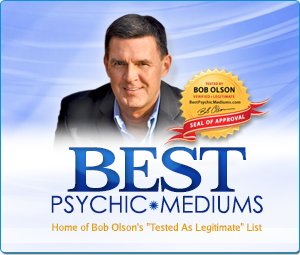 Psychics & Mediums: There really are mediums who can communicate with spirits and psychics who can read your energy. 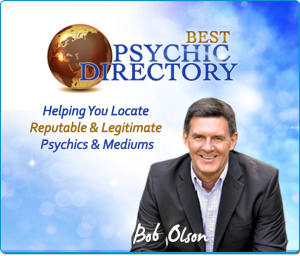 BestPsychicDirectory.com is my own website created to help you discover “LEGITIMATE” psychics and mediums and avoid the scam artists. Names, photos, contact information and over 11,000 public reviews are available to you – all FREE. You can also get a reading instantly–no waiting. 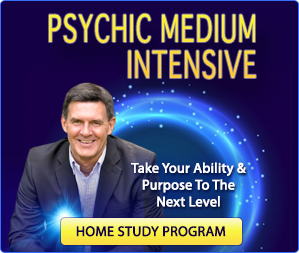 Mediumship is an excellent experience for grief healing. 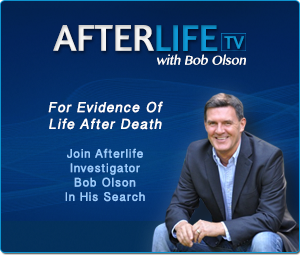 AfterlifeTV.com: Afterlife TV is my online show that I created in 2011. There’s nothing like learning about life after death to bring comfort and peace when dealing with loss. Many people suffering with grief have told us that they watch or listen to the show as often as daily because it gives them such comfort. See for yourself. You have many options, too, including watching on YouTube, listening on iTunes, or reading the transcript of each episode. 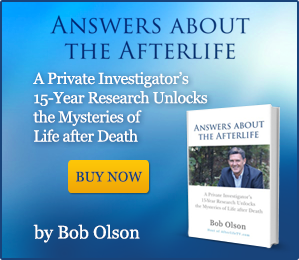 Answers About The Afterlife: This book reveals my answers to 150 of the most common questions about life after death after investigating the afterlife for more than 15 years. Like Afterlife TV, people dealing with loss have said this book has given them an enormous amount of comfort and peace. In it, you’ll learn about my experiences with mediums, past-life regressions, and between-life regressions and after-death communications, plus my research of near-death experiences, out-of-body experiences, death-bed visions and dream visitations. Check out the Table of Contents provided on the website for an overview and the more than 600 reviews on Amazon. After-Death Communication: An after-death communication (ADC) is that spiritual experience you have when you are personally contacted by a deceased loved in spirit through dreams, voices, smells or visions. Huge resource site for both grief and belief by Bill & Judy Guggenheim, authors of Hello From Heaven. Near Death Experience: A near-death experience (NDE) is when someone dies, has an after-life experience, and then comes back to life. Near-Death.com is possibly the most comprehensive resource on near-death experiences on the Internet. Dr. Raymond Moody: Author of Life After Life, researcher and expert on near-death experiences, Raymond A. Moody, Ph.D, M.D., has 25 years experience helping the bereaved. His books are an excellent resource to establish The Grief And Belief Connection. Dr. Brian Weiss: A graduate of Columbia University and Yale Medical School, Brian L. Weiss, M.D. is an author of several top selling books based on his experience as a psychiatrist and healer using past-life regression techniques including the mega-bestsellerMany Lives, Many Masters – a must read for anyone seeking information on past-life regression. Steven Halpern: A leading composer and recording artist of music for relaxation, wellness and “sound health.” Of special note are Transitions (music for loss and grief) and The Panoramic Life Review (guided imagery and music). Dr. Elisabeth Kubler-Ross: A psychiatrist and the author of the groundbreaking On Death and Dying. Now in her seventies, she is a long-time respected authority on the subject of death, dying and bereavement. Victor Zammit: Lawyer Victor Zammit presents 23 areas of evidence for an afterlife in his free online book A Lawyer Presents The Case For The Afterlife. Institute for Afterlife Research: Presents evidence for the survival of physical death based on the experiences of thousands of people from around the world. Betty Eadie: This author’s book, Embraced By The Light, sold more than 6 million copies, stayed on the New York Times bestseller list for more than 2 years, and brought comfort and hope to millions of people by sharing the story of her near-death experience. Highly recommended book. P.M.H. Atwater: One of the original researchers in the field of near-death studies who began her work in 1978. Five books have been published since then about her amazing findings. Any of her books can be helpful for grief healing. Coast To Coast AM Radio: The national radio show created by Art Bell featuring guests on topics such as spirit communication and psychic mediums, life after death, pet communication, astral travel, remote viewing, lucid dreams, past life regression, near death experience, ghosts and even aliens. You can also listen to past radio interviews. The Compassionate Friends: A national non-profit, self-help support organization that offers friendship and understanding to bereaved parents, grandparents and siblings. There is no religious affiliation and there are no membership dues or fees. GriefNet: An Internet community for people dealing with grief, death, and major loss. They have 47 e-mail support groups and two web sites (one for children). Their integrated approach to online bereavement support provides help to people working through various loss and grieving issues. Rainbows.org: A site for adults wanting to learn how to best help children recover after experiencing loss. A child’s grieving process is different than that of adults. Helpful resource for helping children who suffer from any loss issues. In-sight Books: Publisher founded by Doug Manning, offers books, videos and cassettes in the areas of bereavement, elder care, nursing homes and funeral services that have touched over a million people since 1983. I’ve read some of his books and was especially moved by his insight and compassion for the grieving. The Dougy Center: The Dougy Center for Grieving Children, and the National Center for Grieving Children & Families, was the first center in the US to provide peer support groups for grieving children. BabySteps.com: Named after the baby steps that form the long and difficult road to recovery from the loss of a child and aims to care for the support and informational needs of bereaved parents and their communities. WebHealing.com: This site is meant to be a place for men and women to discuss, chat or browse in order to understand and honor the many different paths for healing strong emotions. Tom Golden LCSW of Washington D.C. is a psychotherapist, author and speaker on the topic of healing from loss. Bereaved Parents of the USA: A nationwide organization designed to aid and support bereaved parents, grandparents, siblings or other family members who are struggling to survive their grief after the death of a child of any age. Petloss.com: A gentle and compassionate website for pet lovers who are grieving over the death of a pet or an ill pet. Assoc. for Pet Loss & Bereavement: The APLB is a compassionate non-profit organization dedicated to helping people with bereavement in response to pet loss. American Association of Suicidology (AAS): A state/province listing of Suicide Prevention & Crisis Intervention Centers in the USA, Canada, Great Britain, and Singapore. AAS sponsors The National Hopeline Network 1-800-SUICIDE to access trained telephone counselors, 24 hours a day, 7 days a week. The National Organization for Victim Assistance: A private, nonprofit organization of programs, practitioners and professionals committed to helping victims. OutpostForHope.org: Grief is not only about losing a loved one to death. This nonprofit organization provides advocacy and support for under-represented missing and unidentified persons and their families – including but not limited to the homeless, drug addicted, and runaways. Mothers Against Drunk Driving (MADD): A non-profit grassroots organization with chapters nationwide. MADD is not a crusade against alcohol consumption; MADD’s mission is to stop drunk driving, support the victims of this violent crime, and prevent underage drinking. Make-A-Wish Foundation: Grants the wishes of children with life-threatening medical conditions to enrich the human experience with hope, strength, and joy. American Cancer Society: Has articles and resources on grieving, helping someone who is bereaved, talking to children about death, phases of grief, depression and grief, family changes after loss, losing a child, and loss after a long-term illness. JourneyofHearts.org: Created by Kirsti A. Dyer, MD, MS, Journey of Hearts combines elements of medicine, psychiatry, poetry, prose and images to provide resources and support to those who have experienced loss, be it acute or long-standing.